This luxury beach front house is Architect owned, it oozes charm with indoor out door flow. Open the bedroom french doors and fall asleep to the sound of lapping water across the moonlit bay. In the morning throw open the kitchen bifold windows to the morning sun. The living room opens on to a verandah on all three sides with bi-folding doors. A sheltered side is always available. Stunning views from every room. Check out our web site for more photos and a fuller description. The harbour is very safe for kayaking in most weathers. Most of the time a gentle lapping of the waves is all that can be heard. 50" Plasma screen and Blue-Ray DVD home theatre surround sound with Sky TV and Wifi available. Toys on site for your use include:- 3 ride on kayaks (one is a double), life jackets, a 3 burner BBQ. Launch the kayaks for a morning fish or the boat (in the next bay) for a wake board or an afternoon dive. The local store at Tutukaka has all the normal goods for your use including a good range of recent DVDs'. Fancy a night out then there is the iconic 'Schnappa Rock' or 'Oceans Resort' by the marina. Takeaways are just 5 minutes over the hill in Nungaruru or a beautiful pizza / Cafe in the marina. The marina in the harbour has a huge range of charter vessels for diving , fishing or touring. 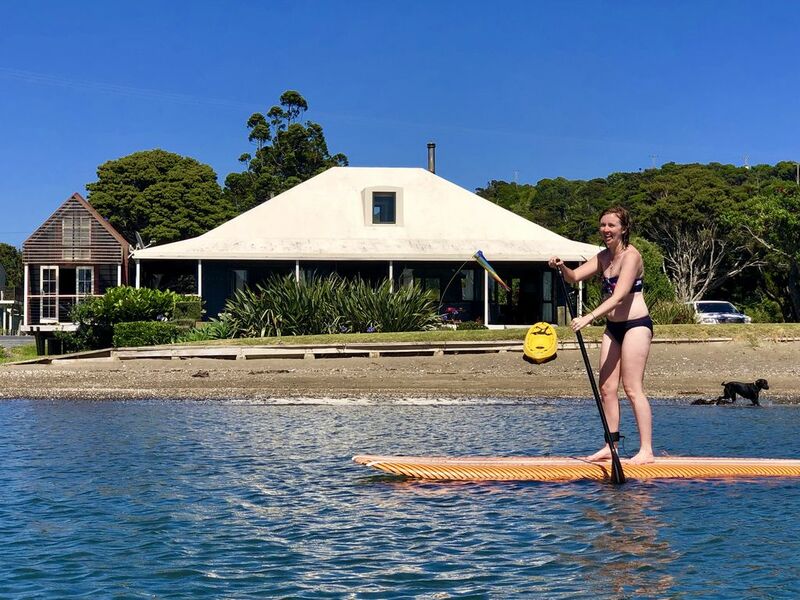 The beautiful Matapouri bay, Whale bay and the surf beach of Sandy bay is just a 10 to 15 minute drive and Whangarei only 30 minutes. The harbour is alive with fish, gannets and crayfish. On occasions dolphins enter the bay to round up schools of fish. Two night minimum stay. No smoking. A refundable bond of $450 will be required. MID WEEK SPECIALS- From 1 June to 31 August only, excluding long weekends and school holidays we have mid week specials running Monday to Friday only. Book two days and get the third day free. Book three days and get two additional days free. We have installed a 'METHMINDER' that will notify the Police if drugs are detected. Born in Auckland an love New Zealand. I am an active architect, enjoying photography and being creative. We think our beach house is a little slice of heaven. You will never be bored here. We had search up and down the country for a place on the edge of the water. Even though we have been offered substantial sums of money to sell we have not been able to find a place that could equal or better this unique setting. Jus 10 houses in the Bay onto a beautiful harbour. toilet, tub, shower, outdoor shower, The main award winning bathroom has bath & separate shower. Bathroom ensuite to bedrooms 3 & 4. 180-degree views of the harbour, ocean and bush views without a house in sight. Just 10 m of lawn and then you are on the sandy beach. Linen can be supplied at $15/person if required and will include bed sheets, pillow slips, towels and tea towels. New frig/freezer with supplementary under bench freezer in the pantry. New frig/freezer with supplementary under bench freezer in the pantry. Gas cooktop, new oven, microwave and dishwasher. Large eight seater table with additional chairs supplied if required. Three kayaks, one being a double are available for your use. We supply 4 life jackets. A 2m wide verandah surrounds the house. A nine-hole golf course is available in Ngunguru approximately 5km away. Access to the world renown Poor Knights Island is available through local companies such as 'Perfect Day' bookings are required. Most stunning location with a very well equipped house. Most enjoyable stay! It's a beautiful place. The bed romps at the end are very small and closed in and the water pump is right there so for a long term stay may not be the best but the location is just stunning. Local Cafes just 1,5km away.